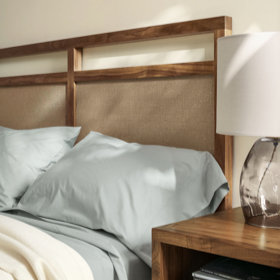 With its woven paper cord headboard, the Berkeley bed adds an artisanal touch to this bedroom. The bed is reminiscent of mid-century style and offers a warm and inviting sleeping space. 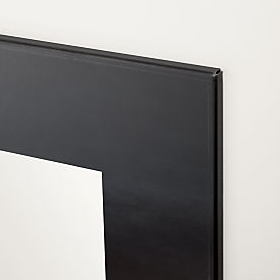 Our Manhattan leaning mirror lends modern appeal to this room. The size of the mirror is perfect for the large room, and it creates a versatile and functional area that makes it easy to get ready for the day. 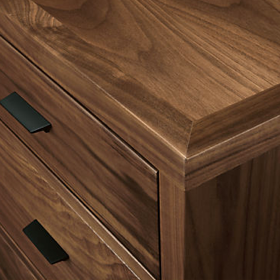 Made to match the design of the bed, our Berkeley storage cabinet is a beautiful solution for this bedroom. It clean and linear shape keeps this room looking neat and cohesive. 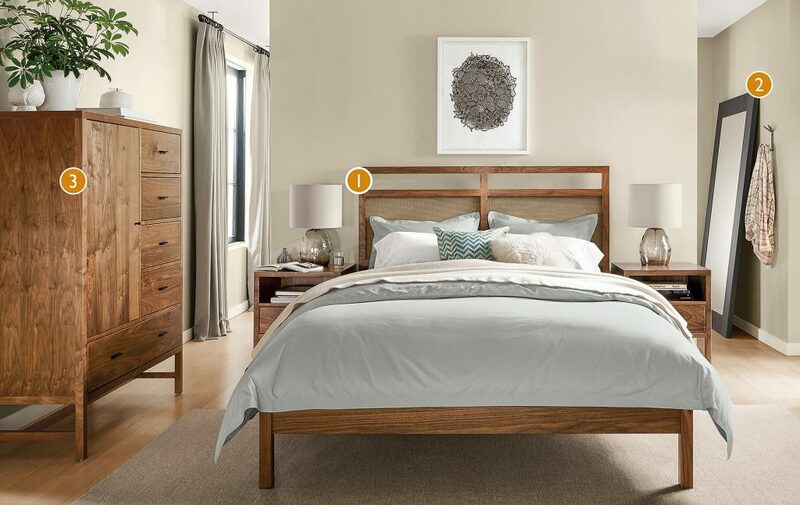 Check out more design ideas and inspiring modern bedrooms in the Room & Board gallery.